The new headstone, funded in part by Shiloh Pepin's classmates, honors the girl who had 'mermaid syndrome,' as well as her mother and sister. Steven Shields had just made the final arrangements for a headstone to honor his niece when the butterfly showed up. A tiny yellow butterfly fluttered near him while he visited a friend in New Hampshire, then it happened again in Otisfield and Lyman. 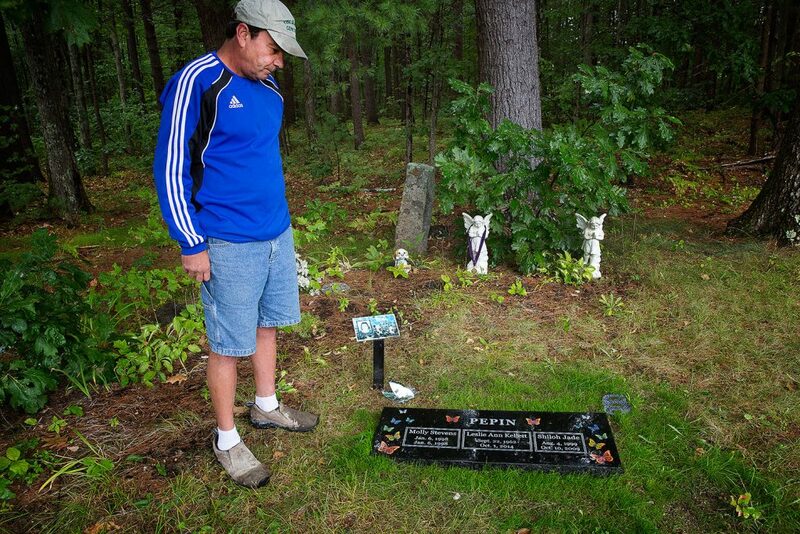 He knew it was a sign from Shiloh Pepin eight years after the butterfly-loving Kennebunkport girl died at age 10. 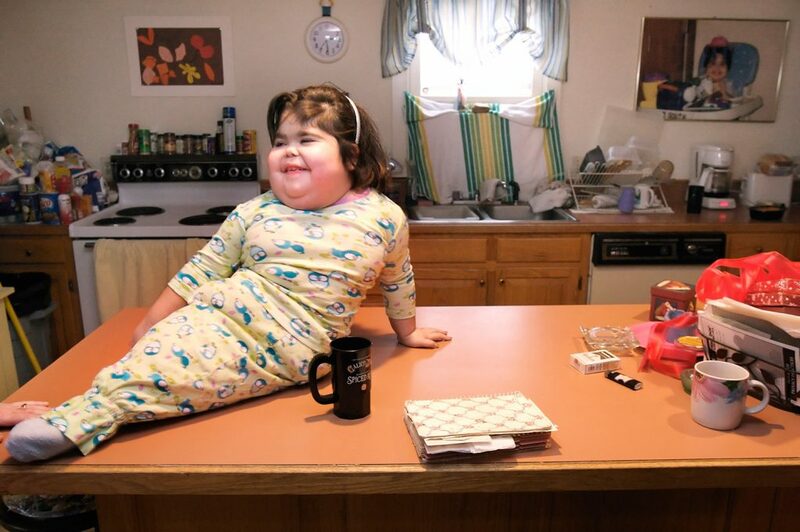 Shiloh was born with sirenomelia, also known as “mermaid syndrome,” a rare disorder that fused her legs together from the waist down. Doctors thought she’d survive only for days, but Shiloh lived for 10 years, charming people in Maine and across the country with her smile, out-sized personality and joy for life. After her death, her family could not afford a headstone. 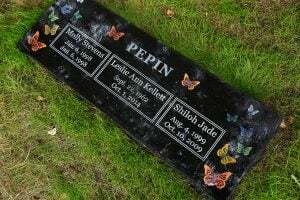 A headstone etched with butterflies and engraved with the names of Shiloh, her mother and a sister who died in infancy was placed in a West Kennebunk cemetery several weeks ago. The stone was made possible by donations from friends, a local funeral home and the classmates who attended school with Shiloh. Shields said he had long wanted to buy a proper headstone to mark the spot where Shiloh, her mother and sister are buried in Pine Grove Cemetery in Kennebunk. Leslie Pepin was 52 when she died in October 2014. Her other daughter, Molly Stevens, was born and died on Jan. 6, 1998. Shields posted on Facebook about raising money for the headstone and received $900 in donations. The Kennebunk High School Class of 2017 donated $500 and Bibber Memorial Chapel also contributed to the effort, Shields said. The headstone was made by Collette Monuments of Lewiston. Katie Mooney, adviser for the Class of 2017, told WCSH-TV the class had raised an abundance of money and decided to honor their former classmate. “They definitely remembered her and thought this was a fantastic idea,” Mooney said. When Shields first heard the Class of 2017 wanted to make a donation in honor of Shiloh, he wasn’t surprised that her former classmates remembered her. Shiloh was a fifth-grader at Kennebunkport Consolidated School when she died and would have graduated with the Class of 2017. Mermaid syndrome is very rare and most babies born with the condition survive only hours. Some children who have survived sirenomelia have had surgery to separate their legs, but Shiloh could not have that surgery because blood vessels crossing side to side in her circulatory system would have been severed. In interviews, Shiloh said she didn’t want her legs separated, anyway. Shiloh gained national attention with appearances on “The Oprah Winfrey Show” and a documentary that aired on TLC. Her story was also shared through news stories and online, inspiring people far beyond her hometown. Shields still remembers his niece for her determination, sense of humor and love of butterflies. Shiloh loved going to the York’s Wild Kingdom to visit the butterfly house. At her funeral, family and friends released balloons, including one oversized balloon shaped like a butterfly. While all the other balloons became entangled in pine trees, the butterfly balloon floated across the cemetery, hanging low to the ground before shooting straight up into the air and disappearing into the clouds.